The future of business is digital and start-ups and early-stage companies have the most to gain by embracing digital and technological innovations. Advancements in digital technology – from email marketing and social media to SEO – have the ability to change the way you win new customers and keep your existing customers happy. And the good news is that there are a variety of simple tips and tricks your business can adopt to harness these technological advancements and stay ahead of the game. We want to help you unleash the power of digital so we’ve partnered with Virgin Media Business to bring you an exclusive ebook featuring 31 digital tips from successful entrepreneurs and digital experts on how they have transformed their businesses using digital – and how you can too. With priceless advice from high-profile business leaders such as Julien Callede, the co-founder of furniture empire Made.com, Callie Russell of popular shopping app Mallzee, and Leah Hutcheon of international online booking software tool Appointedd, this ebook promises to equip you with the tools you need to create efficiences and improve customer experience. You’ll also gain access to information on how to find and build a pipeline of top prospect, alongside information on how to convert users into customers. 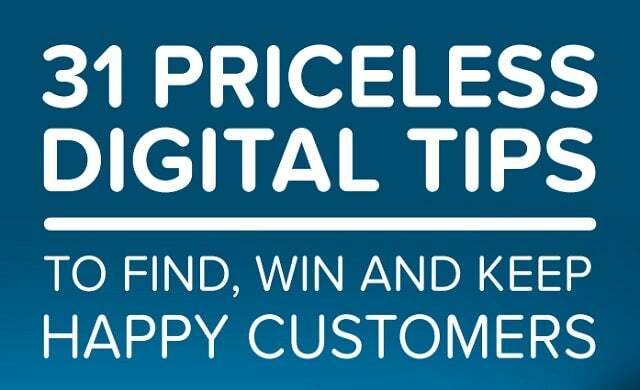 What’s more, Virgin Media Business’ head of digital Ben Sefton and regional director (Scotland) Martin McFadyen have added their nuggets of wisdom to ensure your business is as digitally savvy as it can be.